Founded roughly eight years ago by a group of three friends including Jonathan Evan Goldberg, Steve Van Ooteghem and Joy Purver, Cherub Improv is an improv group dedicated to bringing performance and education in the field of improvisation to those in the New York area who need it most, such as senior centers, AIDS residences, homeless shelters, children’s organizations and many more. 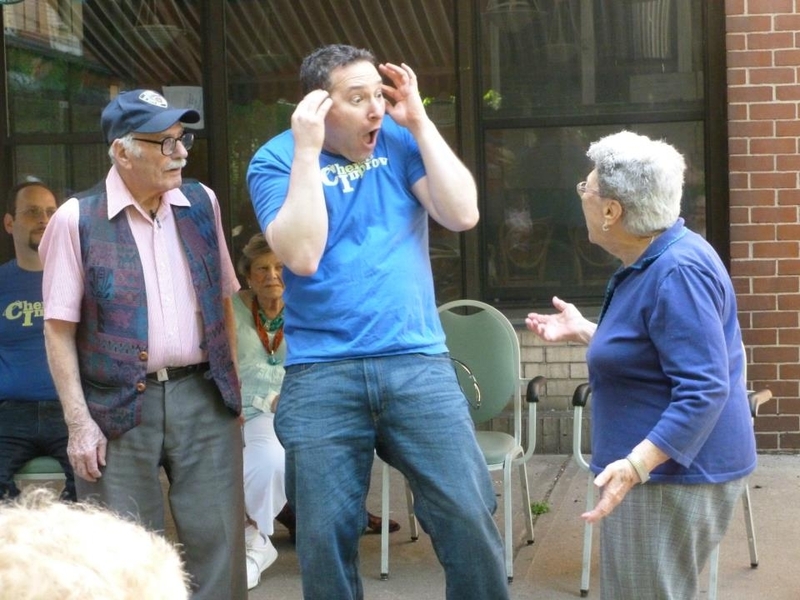 The idea behind Cherub Improv is that laughter can truly be a healing power for those in need. As the organization is non-profit, this year’s gala served a dual purpose of celebrating the work and service of the members of Cherub Improv as well as fundraising to ensure that the group is able to continue their work throughout the city. Cherub Improv Group hosted their 2013 gala at TriBeCa Cinema’s Varick Room, complete with beer, wine, hors d’oeuvres and auctions, both of the silent and live variety. In contrast to some silent auctions, Cherub Improv made a clear effort to provide a wide range of auction items for attendees of all ages and interests. Was I interested in the live auction tickets to Annie on Broadway? No, not really. But someone in the audience was. I had my eye on the bags full of Penguin classic books, and I’m sure my date would have loved to have the Xbox Kinect along with a large collection of video games. These items sat alongside Bulgari sunglasses, paintings, three hour maid services and the like. Like I said, variety. Accompanied by the group’s performance and some testimonials from the ladies and gentlemen from Kittay House Senior Apartments, Cherub Improv Group’s auctions and snacks made for a lovely evening for an even lovelier cause. ‘Tis the season, after all.